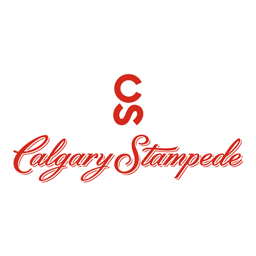 The first two weeks in July are Stampede time in Calgary… a crazy time when the whole city dresses up in cowboy attire, even to work. In fact, some employers even insist on it! Michelle had Friday the 3rd of July off work due to the Stampede parade in downtown Calgary, so we decided to check it out… I took some photos while Michelle shot some videos using her iPhone 3Gs; I then compiled them into this slideshow/video. Michelle had also never been to the Grandstand Show so we decided to do that this year too. We were able to find some last-minute tickets online (via Kijiji) and scored two $100 tickets for only $160 for the pair. Nice! And since the Grandstand Show tickets also included our entrance fee to the Stampede, we decided to go early and make a day of it. A big part of the Stampede is also the exhibition part – we ended up spending a lot more time than I expected (too much?) checking out the various vendors. That brought us to dinner time, and after dinner we didn’t have tons of time before having to make our way to the Grandstand so we killed some time by jumping on the Ferris Wheel as well as on the Himalaya. Maybe not the best idea right after eating, but it was fun. :-) By the time we got off those two rides though, it was time for us to head over to the Chuckwagon races and the Grandstand Show that would immediately follow. 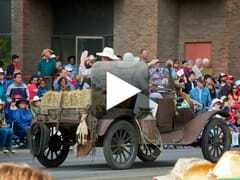 Here’s the slideshow/video compilation of our day at the Stampede. The highlight of the day, of course, was the Grandstand Show. If you’ve never been, I highly recommend it! 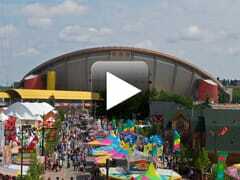 Calgary Stampede 2009 was published on Saturday, July 18, 2009 at 10:00am MDT by Daniel Menjívar and last updated on April 11, 2018 at 9:30pm UTC .